Grants and Work-Study and Loans! Oh My!! As you prepare for college, you will start to learn all sorts of new words and acronyms like Pell, FSEOG, and OTAG. Applying for college and financial aid is confusing enough, so how do I make sense of these crazy words? 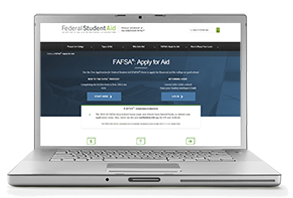 Federal and state financial aid programs are great, but what’s the difference in each type and what do they mean? You should receive information from your college financial aid office explaining these programs, but here’s a brief rundown for you. Federal Pell Grants are awarded to eligible undergraduate students who haven’t earned a bachelor’s or professional degree. The Pell Grant doesn’t have to be repaid and the maximum amount awarded for the 2016-17 academic year is $5,815. Federal Supplemental Educational Opportunity Grants (FSEOG) are awarded to students who also receive a Federal Pell Grant and usually have the highest financial need. These grants do not have to be repaid. A Teacher Education Assistance for College and Higher Education (TEACH) Grant is a little different from the Pell or FSEOG grants because you must take certain classes and then work at a certain type of job to receive this money. If you don’t, the TEACH Grant can turn into a loan and then it must be repaid. These programs can offer students up to $4,000 a year if they qualify. Iraq and Afghanistan Service Grant provides money to college or career students that do not qualify for a Pell Grant and lost a parent or guardian, who was a member of the U.S. armed forces and died in military service performed in Iraq or Afghanistan after 9/11. Federal Work-Study provides part-time jobs for eligible students on a college campus or in an approved nonprofit organization or public agency. Students work a specified number of hours each week and typically earn minimum wage. William D. Ford Federal Direct Loan Program offers Subsidized and Unsubsidized Loans. Direct Subsidized Loans are made to eligible undergraduate students who demonstrate financial need. The Direct Unsubsidized Loans are also made to eligible undergraduate students, but the student doesn’t have to demonstrate financial need to be eligible for the loan. The Direct PLUS Loan is offered to parents of dependent undergraduate students to help pay for their educational expenses. The Oklahoma Tuition Aid Grant (OTAG) is offered to eligible Oklahoma residents who attend eligible college and career technology centers in Oklahoma. 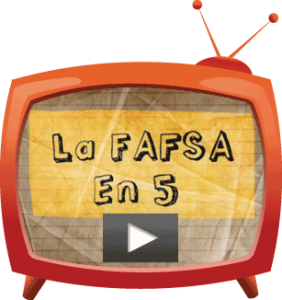 All federal and state programs are awarded based on eligibility provided on the FAFSA application. Be sure to apply as soon after October 1 as possible. Check with your school’s financial aid office if you have questions or to determine if they participate in these programs. For more information, visit UCanGo2.org or StudentAid.ed.gov. Previous PostWhat’s all the hype about the FAFSA? 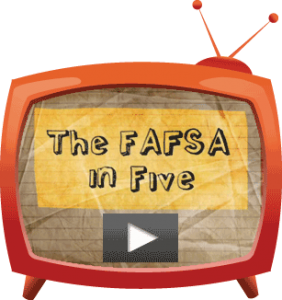 Why is it so important?Next PostWhat’s Changing with the FAFSA?